Tea tree oil—has antiviral properties, dries up blisters, and reduces recurrence. 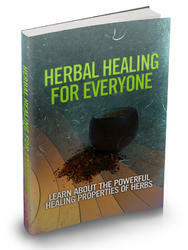 Melissa aka lemon balm—infusion or cream, apply topically several times daily, speeds healing. Echinacea—tincture three times daily, has antiviral properties, supports immune system. St. John's wort—cream or infusion, contains hypericin which has antiviral activity. Licorice—glycyrrhizin-containing gel, apply three to four times daily, inhibits viral replication; also helpful for shingles.